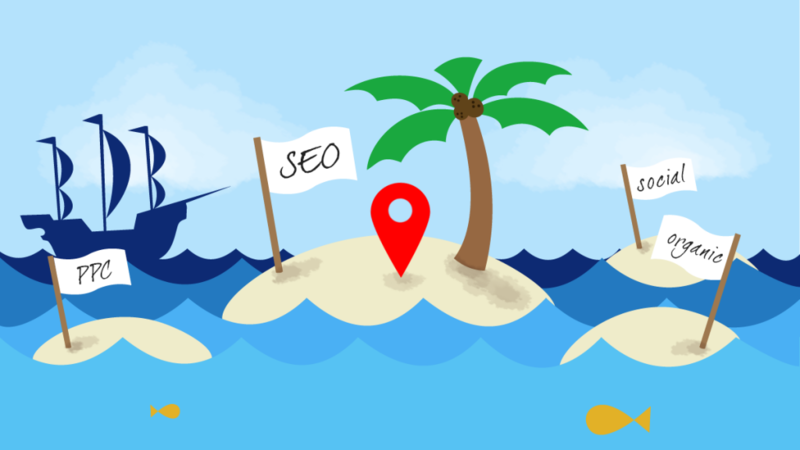 In the previous post we saw some of the on-page optimization techniques that can be implemented for local SEO. In continuation, we’ll see some of the off-page techniques that will firmly anchor your business in the market. One of the important things customers see before using a particular service are the reviews. They have a direct impact on the local search engine rankings. There a lot of review aggregating sites such as Yelp and Trip Advisor that people usually throng to get consumer feedback. To begin with you can start with approaching your existing customer base and requesting for a review. To put a cherry on top, you can also provide incentives for the people who review for you. Also you can create a separate page in your website that will guide the customers on how to review them. Always make sure that you don’t fake reviews. It will create problems when search engines or the customers find what you’re doing. It’ll hurt your brand really bad. Ask your customers to leave a review on your Google+ local page. Make it easy for your customers. Give them a couple of options in the form of options. Positive reviews about your business will go a long way in boosting your rankings and also your business. Having spoken about Google+ local pages, we also need to tune into other social media pages that are relatively important. Make sure that every social media page of yours contains your location and the city. It needs to be consistent among all the pages. Have your ‘About’ page complete with all the necessary details with a URL linking back to your website. Make sure your page is listed as a local business- people can check-in at your location. More the number of people check-in at your place, greater are the chances that you end up at the top of the Facebook search listings. Facebook automatically creates FB Place pages, in case a business doesn’t have one. Claim all the pages to get the credit for all the likes and check-ins that happened at your place. Most businesses are actively engaging on social media platforms to address concerns and keep the crowd informed of the latest happenings. Get active on the social media to stay in the limelight. To give a perspective, there are 1 million more mobile devices getting activated each day than the number of babies that are born. Such is the mobile expansion. We are living in the mobile age- where your customer is always on the move. If you want to catch them, you better be mobile. Majority of the local searches that are done, are on mobile devices. Unless you’ve been living under a rock, you should know that you need to have a mobile responsive website design. Even the big daddy Google has explicitly mentioned it. Customize your site according to mobile users. Pay more attention to the most important pages of your site such as contact and services pages – menu page, if you own a restaurant and the like. We’ve come a long way from the conventional ways of promoting small businesses. Today everyone is online and it’s suffice to say that you need to be creating active and creative content to grab visitors. Fact is, most small businesses shy away from blogging and posting content online. Uncertain returns and high initial cost are thought to be the biggest detractors. Blogs have evolved radically and today the emphasis is more on the visual appeal rather than the text. Infographics have entered the arena and they’ve proved to be a great success. If you regularly push out original and creative content pertaining to your demographics, you can expect a spike in the sales numbers. As with any campaign, you need to have a solid tracking and analyzing system in place to measure your progress. People checking out your site through Google Places will definitely enquire about the products and services. Make sure you respond to the phone calls and enquiry forms properly to convert the leads. You can use analytic tools such as Google Analytics and Moz Analytics to get insights into the ranking factors. They really help in monitoring the organic traffic hitting your site. If implemented properly, you should see a considerable increase in the number of hits within weeks. Local SEO though similar to the standard SEO process, requires specific features and changes to be implemented to obtain results. Right from optimizing your site for local population to having a responsive site design, local SEO will work wonders with proper implementation and perseverance. In this guide we learn how to tweak the SEO process to improve local businesses. You know, the best time to plant a tree was 20 years ago. But the second best time is today. Start implementing the techniques- you won’t falter!